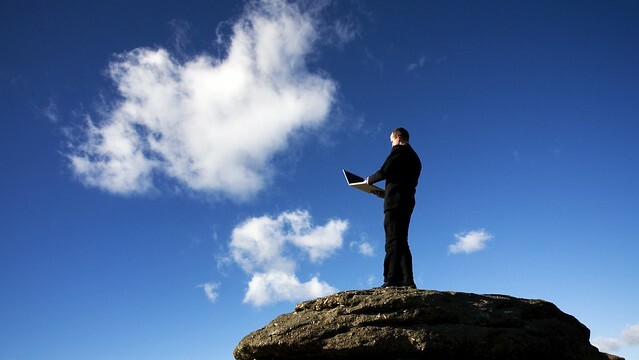 How Will the Cloud Evolve in 2014? As we push further into the 21st century, the internet has continued to adapt to fulfill the needs of its demanding user base. Web 2.0 brought forth many changes to the medium such as social media, crowdsourcing and richer user experiences that many of us take for granted. As the infrastructure grew, so did the need for a more flexible data environment. Enter the cloud. At this point, the general public has been thoroughly educated on its uses and benefits thanks to its seamless integration with mobile devices and digital platforms. However, while consumers are enjoying cloud-enabled apps like Spotify and Google Apps, it’s the businesses that have truly been reaping the benefits. According to IBM, companies that adopt competitive cloud technologies are doubling in revenue growth when compared to others that are behind the curve. Now passed its infancy stage; the future is bright for the cloud. Here’s what we can expect from cloud technology in 2014 and beyond. For the past few years, cloud-enabled SaaS (Software as a Service) platforms have largely catered to giant corporate industries with companies like Salesforce, Amazon and Marketo leading the pack. These SaaS platforms work at a horizontal level. In other words, they provide tools that fit the needs for all types of business sectors. However, more niche-specific vertical SaaS providers are on the rise, and are growing to fulfill the needs of previously ignored industries such as hospitality, finance and food services. Veeva, a cloud-enabled service that caters to the life sciences market, recently passed Oracle as the U.S. market share leader in that sector. These specialized platforms are expected to disrupt the market and gain some serious momentum over the next few years. The cloud has been something the public has slowly started to adopt whether they knew it or not. Whether it’s backing up files using applications like MyPCBackup or streaming music on Amazon, the “personal cloud” has become part of the general consumer’s everyday lexicon. As companies continue to optimize and build upon current consumer facing cloud services, the public’s perception for how they think about data management will evolve. The shift is already occurring. Platform agnostic applications like Google Drive and Dropbox allow users to store their personal data in the cloud which is accessible by virtually any modern PC, Mac or mobile device. Personal data now follows the user around instead of living in just one centralized location. In the future, some experts believe that the personal cloud will grow to learn from the user by optimizing to his or her online activities. These learning patterns could be a huge paradigm shift for online data security. As we become more accustomed to the cloud in both the personal and professional environments, it’s only natural to expect implementation across more devices then just the typical PC and mobile device. Expect to see ambitious SaaS companies find more creative ways to bring their services cross-platform in order to differentiate themselves in the marketplace. We’ve already seen early attempts at smart watches, smart refrigerators and Google Glass; all of which are deeply integrated with cloud services. Sony and Valve are also currently experimenting with cloud gaming technologies which allows players to virtually stream a back catalog of games from their data centers. The possibilities are seemingly endless as demand for cloud capable technologies grows. While cloud technology isn’t going anywhere anytime soon, the term cloud might be a thing of the past. Industry analysts have predicted that the cloud will become so ubiquitous in the market that many companies will refrain from branding themselves with such a generic term. Businesses will instead opt to describe themselves by what value they can offer to consumers, assuming the public is as familiar with “the cloud” as they are with the internet or e-mail. The cloud has certainly lived up to the hype and has proven itself to be much more than just an industry buzzword. As it continues to evolve, it will become more synonymous with the foundations of the Internet’s infrastructure. It will soon be very difficult to imagine an Internet without the cloud. Miles Young is a freelance writer, designer and business columnist, and a contributing author for the 'corePHP' blog. Business technology news, views and insights. This entry was posted in Accessibility and tagged cloud, cloud computing, personal cloud, SaaS, vertical cloud on August 21, 2014 by Miles Young.